I will keep this article rather concise, so let us exclude the introductions, and get to the point. 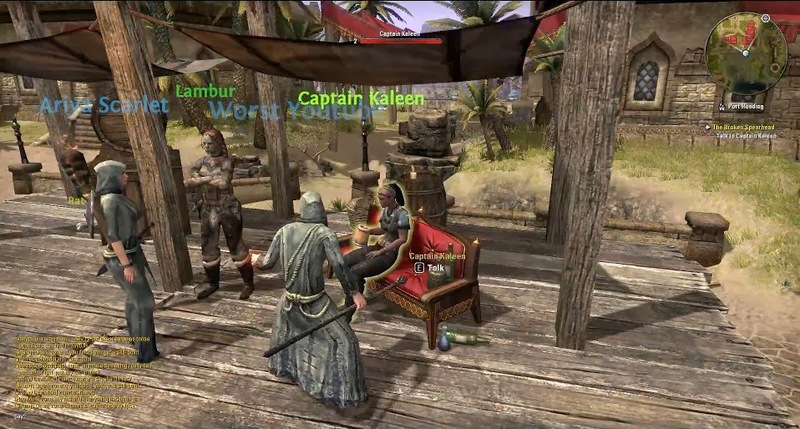 The Elder Scrolls Online, the beta, which has just begun a rather massive event, starting recent Friday, 31.1.2014, has been a new experience for me. It is an MMO of a new generation. It actually has some serious story, questing, and a realistic vibe, to it. Man, I saw no radar in my beta! ><"
First of all, it feels well made. It does not feel cheap, or "AZN", or a scramble of well-tested ideas, scrounged into an "role-playing-like action game". It is a real MMORPG. There are a lot of actors reading out the quest texts, and shouting about in populated areas. The visuals are compelling, and not toy-ish. The UI and controls are minimal, logical, and entertaining. It feels really good. Maybe just as important as the feel it has, it draws the interest of the player. I am only enjoying a few days of beta here, as I have been invited with a private key; one of the lucky ones, who got rolled in. But, in these few days, I have found myself growing more and more curious about the game world itself, and about where it would lead me. Unlike many other games, which quickly turn into a repetitive-quest grind-fest, ESO straddles itself tight onto its' story and characters. NPC's are not that stupid. MOB's feel more purposeful, than in many other games. It is kind of nice. I will point out, critically, that the atmosphere of the game is quite dark and gloomy. For many of us, who enjoy a light-hearted - casual - funky sort of ~vibe~, I seriously doubt that it is there. Even the player-base feels different. All those individuals, who have been enjoying the Elder Scrolls single-player games of the past, now turn in their hordes, to play this new release; the next of the series, really. You see, it's a different sort of humor. For me? It ain't extreme enough. I strongly suspect that, while being a rather good MMO - unusually so even, it will only draw unto itself a rather specific crowd. I hope it gets enough trolls. Oh, and I do not plan on buying it, myself. Nothing personal, really.